An ILX Type-S with more than 300hp? It's very possible. This should have been done by now. In fact, the Acura ILX should have been given a proper engine from the get-go. After all, this is the sport sedan (read: re-bodied and pricier Honda Civic) that Acura has been trying so desperately hard to sell to younger buyers. Instead many have been shopping elsewhere. 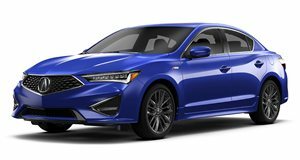 According to a new report from Car and Driver, the ILX, which will also receive a facelift for 2016, could also soon receive a turbocharged version of Honda’s new 2.0-liter "Earth Dreams" four-cylinder engine that’s capable of producing 300-plus hp. In fact, this very engine is due to arrive in a few Honda models later this year, including a top-of-the-line Civic. A newly improved Civic Si or something even more powerful? Either one is possible. But a company product planner told C&D that "Acura is always going to get the best engines Honda makes," and those cars "will always be more powerful" than their Honda cousins. The Acura rep summed it up like this: "Obviously, a 2.0-liter turbo is more of a must-have in the luxury world than it is in the mainstream world, so..." An ILX Type-S could help bring the tuning world back to the brand. "Tuners were such a big part of our fan base in the old days," the rep also commented. It’s still not too late to return Acura to its enthusiast 90s roots.